UM motorcycles promised a great many things at the 2014 Auto Expo. The company showed its entire range of motorcycles with the launches expected the later in the year. But due to some difficulties, the company postponed the launches to 2015 where they announced that they will be coming to India very soon. 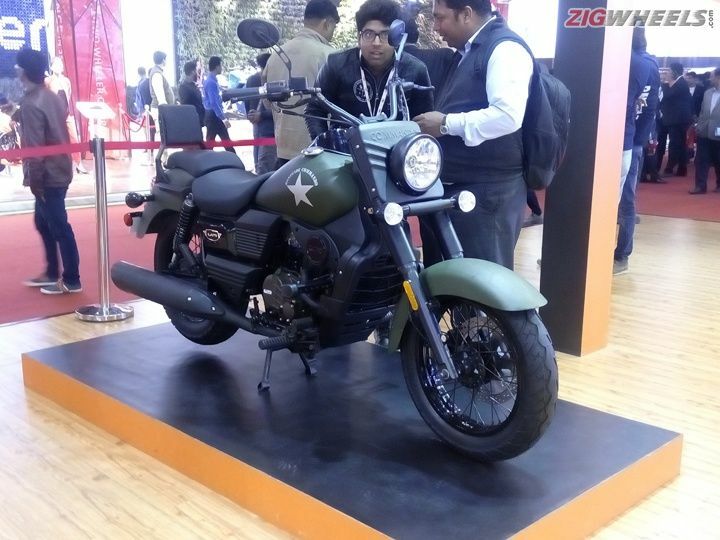 But it wasn’t until this year’s Auto Expo that we finally saw a price tag on the company’s flagship Renegade range of Cruiser bikes. The one that caught our eye was the Renegade Commando and if we can be completely honest it does look promising. Let’s start with the price, the renegade Commando has been launched at a price of Rs 1.59 lakh ex-showroom Delhi. And for the money you do get a lot of bike. It looks like a proper American cruiser just a little scaled down. The teardrop shaped tank with the white star dominates the profile with handlebars set high and the seat rather low for a comfortable riding position. The fore-set pegs and the chunky front forks reinforce its cruiser intentions. The speedo is mounted on the tank for added style, though it will tend to be a tad distracting but shouldn’t be a hindrance at cruising speeds. The overall plastic quality and the switchgear could’ve been better built. The switches lack slightly in the refinement area but otherwise fall to hand rather easily. The engine is a 279cc single pot water cooled motor making 25PS of max power at 8,500rpm and 22Nm of peak torque at 7,000 rpm. The engine is mated to a 6-speed synchromesh transmission which should make for good and precise shifts. But we can only know for sure once we ride the bike. Watch this space for more.